Examine the two compositions carefully. If you think the resemblance is purely coincidental, read on. 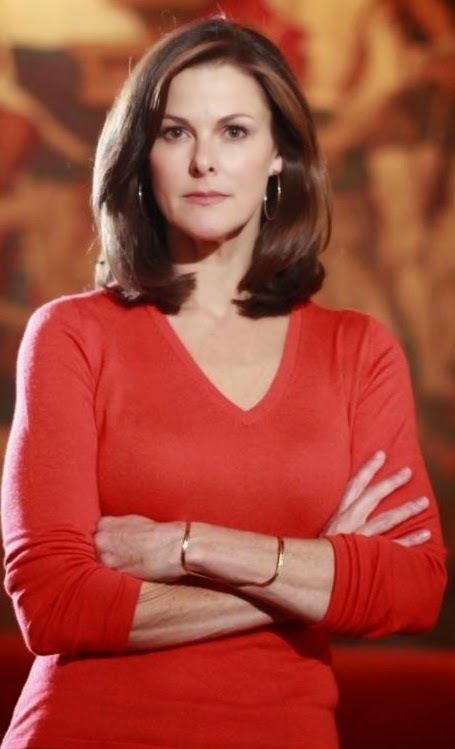 Campbell Brown is queen of a second lawsuit aimed at cutting down teacher tenure in NY. With all the experience that comes from teaching English for a single year in Czechoslovakia, she seeks to destroy for all teachers the due-process protections that allow academic freedom over the span of a career. These same protections also give teachers the ability to better assure students receive their legally mandated services, safe learning environments and a sound education. If Campbell wins, do you wonder what her post-tenure world might look like? Look to the pages of Lewis Carroll and his relentless logic. The imperial finger will point at all of us. Too much homework! Off with their heads! Too little homework! Off with their heads! Too many fail! Off with their heads! Too many pass! Off with their heads! Putting a hand on a student's shoulder? Off with their heads! Cold and uncaring! Off with their heads! Students said you said, "...."! 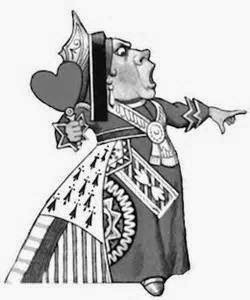 Off with their heads! Red pen? Off with their heads! Blue, Green, Yellow, Orange, Black pens! Off with their heads! You won't coach the cheerleaders? Off with their heads! You want to coach the cheerleaders? Off with their heads! Health and safety concerns? Off with their heads! A student entitled to services? Off with their heads? Your Common-Core test grades rot! Off with their heads! Too expensive to employ! Off with their overly experienced heads! How can we prevent this nightmare world of reform? My simple solution. 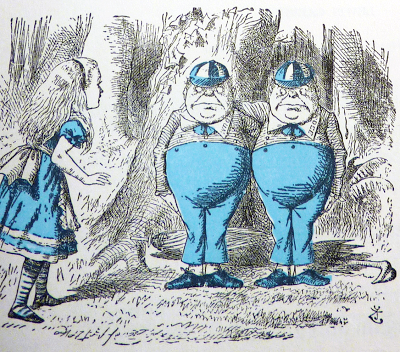 Don't let Tweedle Dee and Tweedle Dum set the terms of the debate! Recognize that students' basic rights to a sound education are being denied, but it is not by their teachers.